The great Laurel-or-Yanny debate of 2018 was so fun because it shined a light on the often-illusory nature of auditory perception. What you hear may not be the same as what somebody else hears. Or, perhaps what you hear could change over time. What surely was "Yanny" to some people at first sounded a lot more like "Laurel" upon their 27th listening. New research appearing today in the peer-reviewed journal PLOS ONE explores these ideas further. 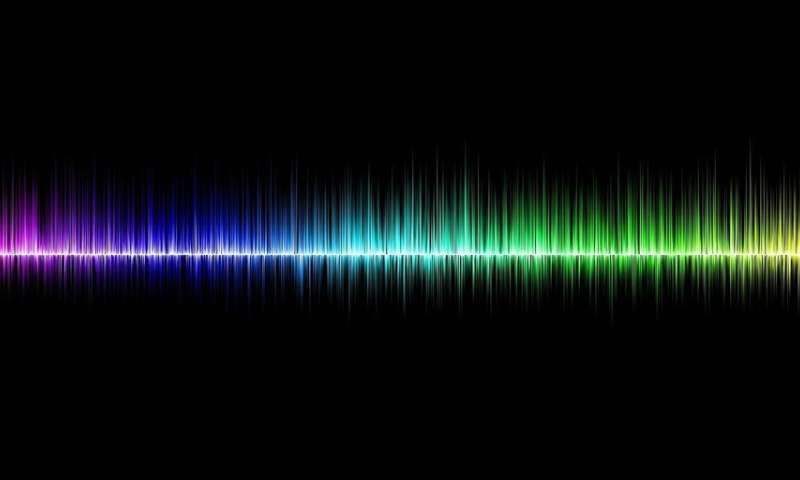 A team from the University of Kansas has investigated the "Speech-to-Song Illusion," where a spoken phrase is repeated and begins to sound as if it were being sung. "There's this neat auditory illusion called the Speech-to-Song Illusion that musicians in the '60s knew about and used to artistic effect—but scientists didn't start investigating it until the '90s," said Michael Vitevitch, professor and chair of psychology at KU, who conducted the study with undergraduate and graduate student researchers in the department's Spoken Language Laboratory. "The illusion occurs when a spoken phrase is repeated— but after it's repeated several times it begins to sound like it's being sung instead of spoken." The KU researcher said previous studies have looked at characteristics of phrases that contribute to the illusion and have elicited the phenomenon in speakers of English, German and Mandarin. Further studies have shown brain regions that process speech to be active when a phrase is perceived as speech while brain regions that process music fire when the phrase is heard as song. "But nobody had a good explanation about how this illusion was coming about in the first place," Vitevitch said. "A lot of the researchers who looked at this were music-perception scientists, but there weren't a lot of people coming at it from the speech-and-language side. I'm one of the few speech people that started looking at this. I brought some of these models of how language processing works to see if that might explain what's going on with this illusion." Along with KU graduate student Nichol Castro and undergraduates Joshua Mendoza and Elizabeth Tampke, Vitevitch designed six studies to test if a model of language processing known as Node Structure Theory that accounts for other aspects of language processing might also be responsible for the Speech-to-Song Illusion. Under Node Structure Theory, word nodes and syllable nodes act as "detectors" when people hear syllables, words and phrases. "You've got word detectors and syllable detectors and, like with lots of things in life, as you use them they're going to get worn out—like your muscles. As you use them, they get tired," said Vitevitch. "Like with muscles, you have a type of muscle for short bursts of sprinting and also muscles for endurance, like running a marathon. Word nodes are like sprinting muscles, and syllable nodes are like endurance muscles." Vitevitch said the results of six experiments—which used 30 KU students as subjects—suggest word detectors initially are activated, giving one the perception of speech, but they fatigue as the phrase is repeated. The continued presentation of a phrase still activates syllable detectors, which do not fatigue as quickly as the word detectors. Because syllables carry the rhythmic information of language, the continued stimulation of the syllable detectors—but not the word detectors—shifts perception to a songlike state. "We tried to test the different parts of the model," he said. "We looked at the word nodes and singled out phrases that had a lot of similar-sounding words. We tried to take out words altogether by using Spanish words with non-Spanish speakers. We tried focusing on the syllables and number of syllables. We looked at different characteristics, like is it the word that matters or the number of syllables?" The authors even created random lists of words to prevent the inherent intonation in everyday speech from influencing the subjects' perception of musicality. "Because we do have intonation, we wanted to have the strongest-possible test of the mechanism of these detectors," said Vitevitch. "We tried to strip musicality away by randomly putting words together without intonation shifts, so it didn't sound musical at all to begin with. When people hear it once, they said it didn't sound musical at all. The fact that we could get people to shift perception to something musical after several repetitions gives us confidence that we're on the right track with the mechanism explaining the effect." While the Speech-to-Song Illusion could be seen as a mere novelty, like the Laurel-or-Yanny meme, Vivevitch said the phenomenon has the potential to greatly increase our fundamental understanding of speech and music perception. "All scientists are trying to look inside of a black box to understand what's going on inside," he said. "We're all trying to understand the universe or the brain or how atoms work. So, any opportunity to get a crack in the black box where you can look inside, you need to take. Things like illusions are often dismissed, but they're unique opportunities to get another angle on what's going on. Yes, they're kind of fun and interesting and goofy and they get attention—but really they're another opportunity to see what's going on inside the black box."